Stylish grey bi-folding doors installed for Kent home. 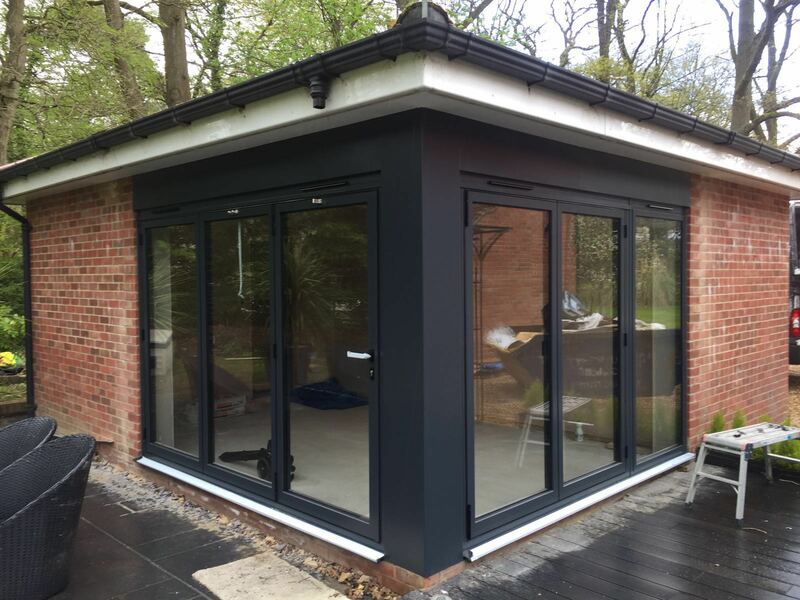 The expert teams here at DWL recently installed a set of sleek aluminium grey bi-folding doors into a garden room in a Kent home. The homeowners wanted to make the most of their exterior space, and to let the light in even when it was raining or cold outside. The finished product will certainly allow for this to happen, and so the customers are thoroughly pleased. Why did the homeowners opt for grey bi-folding doors? Bi-folding doors are an easy choice to make once you know about the benefits they can bring for living spaces. They let in an abundance of natural light, without the cold seeping in too! The large glass areas also create impressive views of exterior spaces, whether you have a well-kept garden, stylish patio, or naturally beautiful surroundings. By only using expert installers, our teams ensure that door and window fittings are always completed to the highest of standards. We always aim to keep disruption to an absolute minimum too. This means clearing up, reducing noise, and generally keeping your satisfaction as a priority. As architectural glazing specialists, we are proud to be able to offer the most up-to-date products available on the home improvement market. The owners of this kent property will benefit from these ASS70FD grey bi-folding doors, designed by market-leading aluminium suppliers, Schuco. The design of these doors has been purposefully created to offer enhanced energy efficiency, security, durability and of course – style. In addition to the latest home improvements, including architectural glazing, we offer a wide range of colour options. These grey bi-folding doors hit the nail on the head in terms of style, with grey being the colour of the moment. With our help, you can choose products that best fit your requirements, and those that are finished in a colour that matches your personality. The home improvement process doesn’t get much simpler! To find out how your home could benefit from Schuco ASS70FD grey bi-folding doors , explore our site.